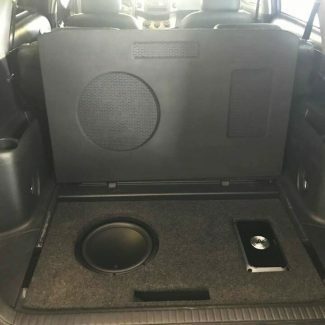 Toyota Rav4 with a ported JL Audio subwoofer box and amplifier installation in the spare tire well with a stealthy false floor panel. In this Toyota Rav4 we installed an all JL Audio car stereo here at the best car stereo shop in Melbourne. 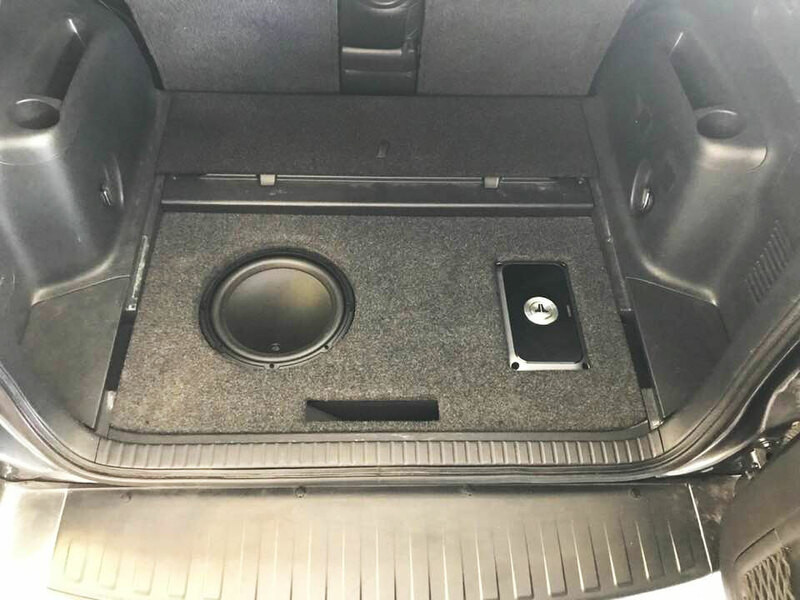 We started off by installing JL Audio C3 speakers in the front and rear of the car for the mids and highs. 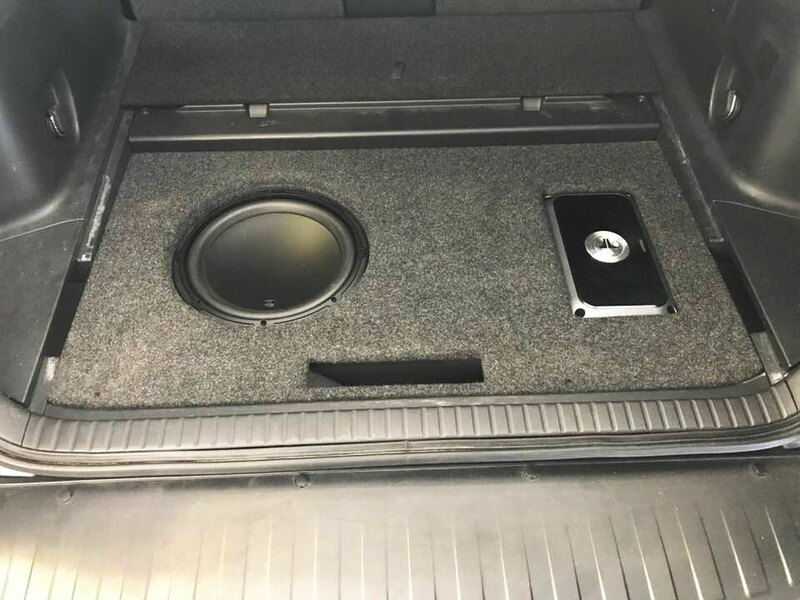 Then, we built a custom ported subwoofer box for the single JL Audio 12W3 subwoofer. 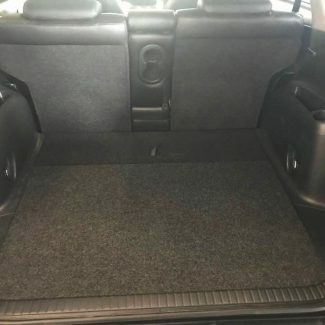 We built this into the spare tire well of the car so that it doesn't take up any of the usable space in the trunk of the vehicle and allows the client to carry anything they want like before. 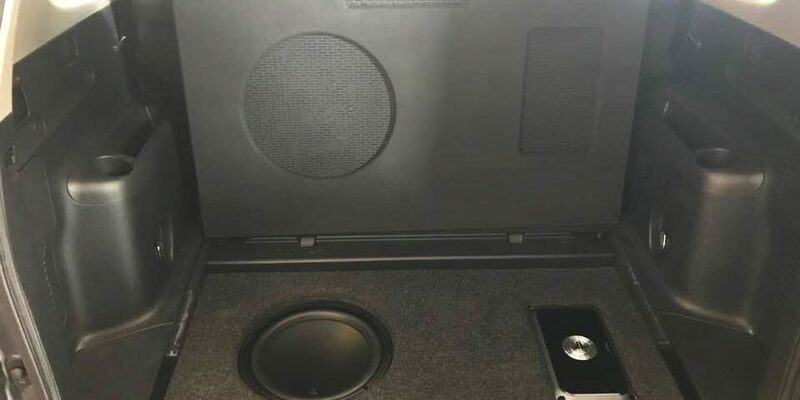 We also installed the JL Audio VXi 1000/5 amplifier in the spare tire well with the subwoofer. These new amplifiers from JL Audio are awesome. 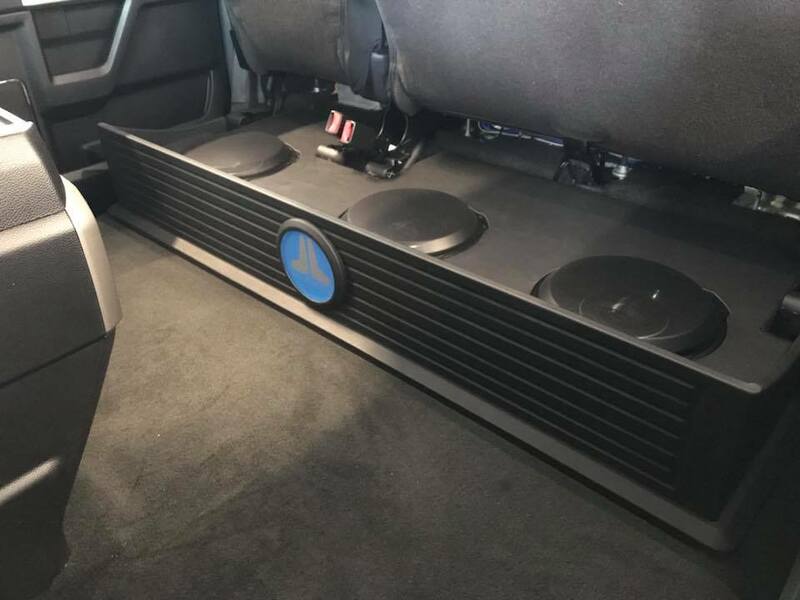 They are not only the amplifier to power all the speakers and subwoofers, but they also include a sound processor to tune the entire system. This allows us to integrate with the factory OEM car radio and full EQ and time alignment processing, all in one small amp. We highly recommend these new amps! 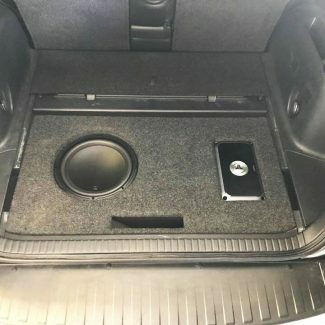 To finish off the car stereo installation we fabricated a false floor panel that covers the subwoofer and amplifier so you don't even know they are there when they are covered. 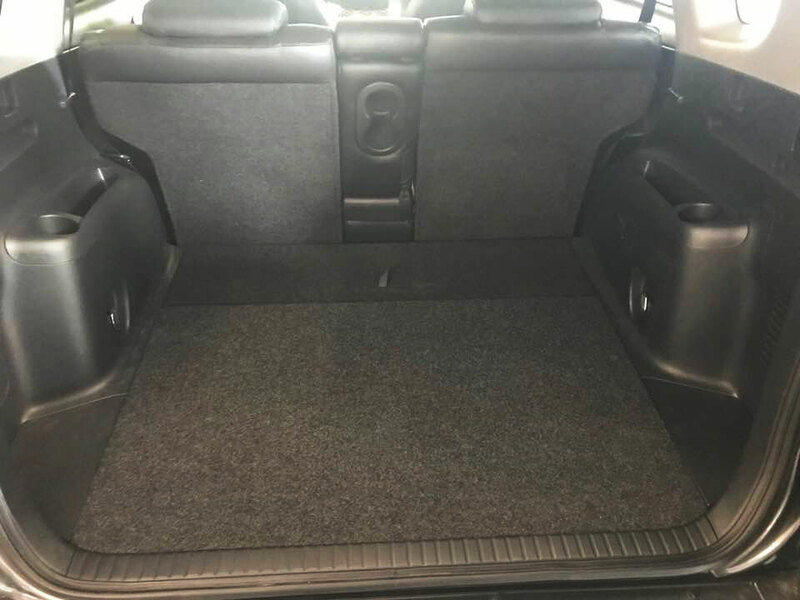 This gives the client full use of the rear trunk area with no loss of cargo space. This gives a full factory look and keeps everything safe and secure. We also used 26 sqft. 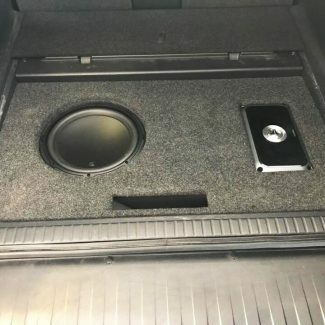 of Stinger Roadkill Ultimate sound dampening throughout the vehicle to cut down on the rattles and make the sound fuller and rich. 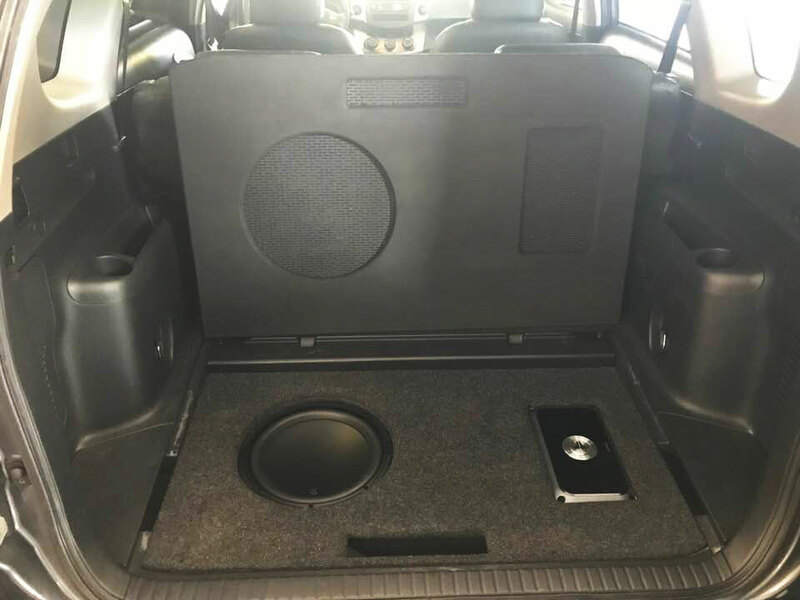 If you have a Toyota Rav4 and want a super stealthy car stereo that sounds awesome, give us a call. We have the solution for you.